"I'm so happy I found a new friend!" GKids has released a teaser for Japanese anime Okko's Inn, a new film from famed anime studio Madhouse and director Kitaro Kosaka, who was a key animator for many classic films at Studio Ghibli. 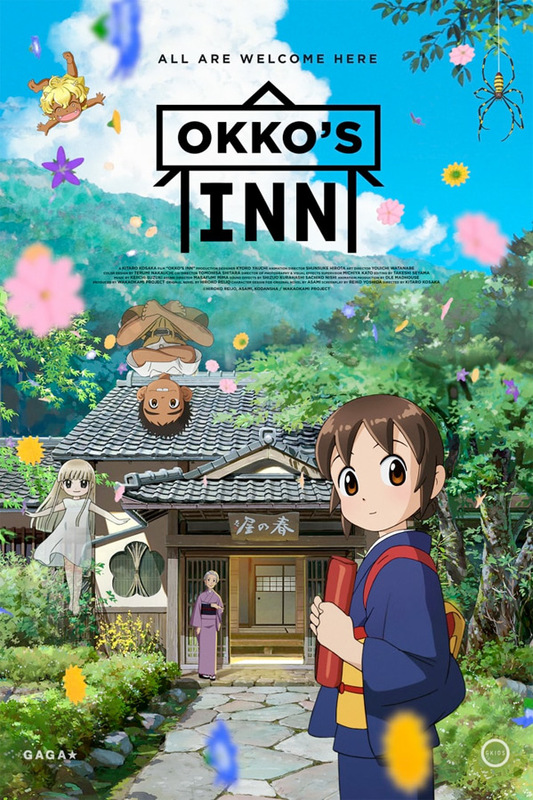 Okko's Inn is about a young girl who loses her parents in a car accident. She moves to the countryside with her grandmother who runs a traditional Japanese inn. While she prepares to be the next owner of the inn, Okko can somehow see friendly ghosts. This premiered at the Annecy Festival last year, and also played at the Bucheon Film Festival. It "seamlessly blends immersive, idyllic landscapes with the storybook charm of Okko’s beloved ghosts. Okko's Inn delivers a rare ghost story that –despite several floating characters – is firmly grounded in the trials and joys of humanity." This teaser is for the English-language dub, though GKids will be playing both versions in theaters for only one weekend in April. After losing her parents in a car accident, Okko goes to live in the countryside with her grandmother, who runs a traditional Japanese inn built on top of an ancient spring said to have healing waters. While she goes about her chores and prepares to become the inn’s next caretaker, Okko discovers there are spirits who live there that only she can see – not scary ones, but welcoming ghosts who keep her company, play games and help her navigate her new environment. The inn's motto is that it welcomes all and will reject none, and this is soon put to the test as a string of new guests challenge Okko’s ability to be a gracious host. But ultimately Okko discovers that dedicating herself to others becomes the key to taking care of herself. 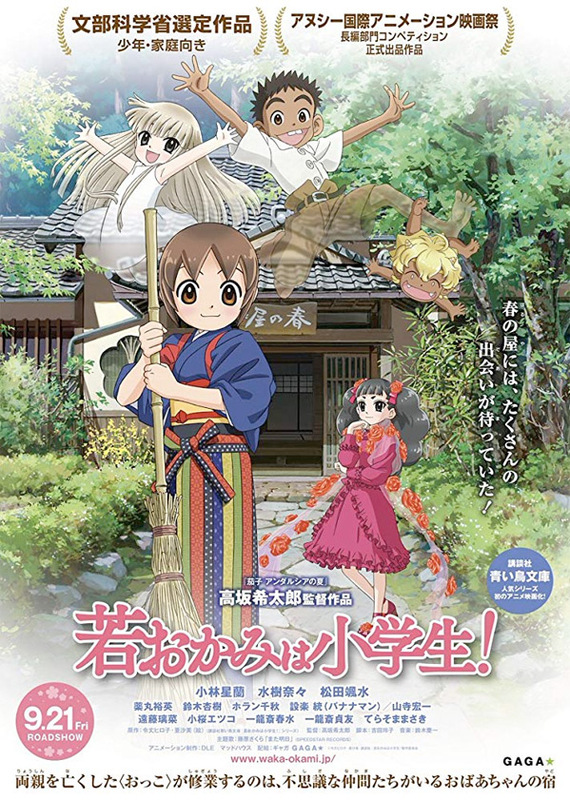 Okko's Inn, aka Waka okami wa shôgakusei!, is directed by Japanese filmmaker Kitarô Kôsaka, of the films Nasu: Summer in Andalusia and Nasu: Suitcase No Wataridori previously. The screenplay is by Reiko Yoshida, based on novels by Asami, and a manga by Hiroko Reijo. GKids will release Okko's Inn in select theaters starting April 22nd this spring. Fore ticket info visit the official website. Who's into this?